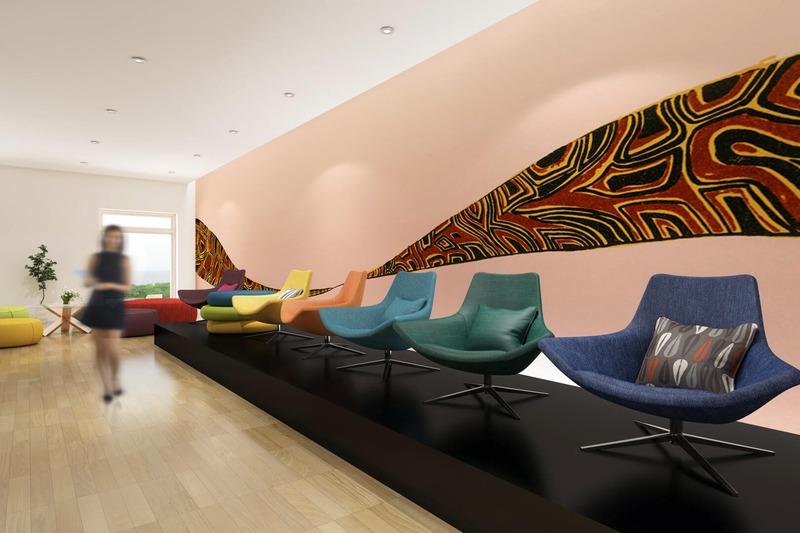 Every job is uniquely sized and custom printed using high resolution design files of original works and every job is printed using environmentally friendly inks and materials to ensure your wall is as unique as the artists who have created it for you. Whether your looking for a statement feature in your office space or to create a talking point in your coffee shop, our professional team is standing by and ready to assist. Authentic licensed artworks from local Indigenous artists. 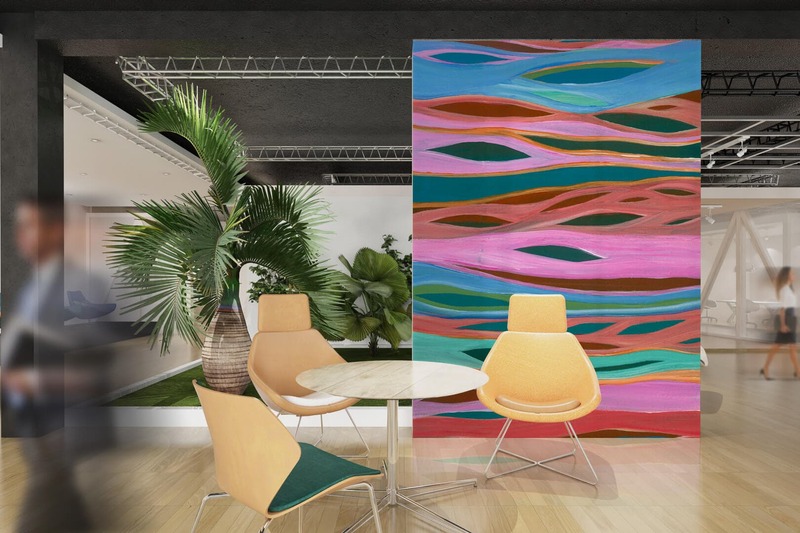 Our wallpapers look great in any setting, including your office or retail space. We have professional designers on standby and offer commercial installation options.